GALION — More than 40 people showed up Wednesday — at the first of two meetings that day — to learn more about a $300,000 Community Development Block Grant awarded to the city. Stacey Clapper, a project coordinator with Ohio Regional Development Corporation, answered lots of questions during a 60-minute session at Galion Public Library. Of the $300,000 grant, approximately $200,000 will go to business or building owners within the six-block area who are eligible for grants. They will be for a maximum of $10,000 per grant. However a matching amount of capital must be spent by the grant applicant. Clapper noted that application forms are already available through the City of Galion. She also noted that although the city will be involved in the application process, the grants money is being made available through the office of the Crawford County Commissioners and the actual decision on who gets what grant money and how much they get will be determined by a number of people, some who don’t work for the city. “The building inspector and fire inspector will be involved and will help to sort out the issues that most need to be addressed,” she said. There are requirements for grant applicants and and the process will require a lot of due diligence from those applying for the grant, to the City of Galion, to representatives of Ohio Regional Development. Applicants are welcome to spend more than $10,000 on any project, but $10,000 is the largest amount of funding that will be awarded. “Our goal is to get the most for the amount of money we award,” Clapper said. There also are hoops to jump through, as is the case for any federal money being given away. Grant applicants will be able to make use of architects with experience in historic preservation experience. In fact, there is help available for grant applicants throughout the entire process. Applicants must be current on the payment of property taxes, city taxes and utilities. They also are responsible for finding qualified contractors and submitting project bids. There also are requirements for contractors. It’s been about 14 years since Galion last received a CDBG grant. Mayor Tom O’Leary, who’s office is in charge of the application process, said his goal is to have some applications processed by spring. But it could take a couple of years before all the grant money is used up. Applications were passed out at the Wednesday meetings, but also are available through the City of Galion. Call 419-468-1857 for information, or check out the application process on the city’s website. You may also call the Ohio Regional Development Corporation at 740-622-0529. 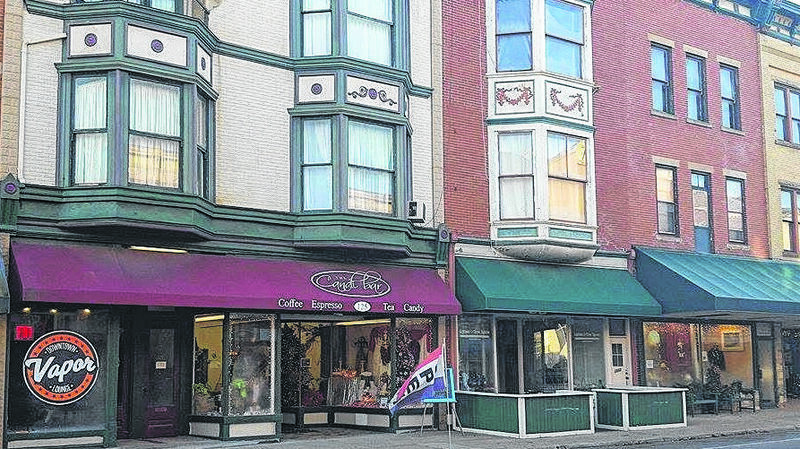 Russ Kent | Galion Inquirer Dozens of business and building owners showed up Wednesday to learn about the process involved to receive up to $10,000 in Community Development Block Grant funding.